A lot of people are left in awe after watching amazing videos. A video may be amazing because of its content, the message that it conveys its visual quality, or the exceptional quality of its technical aspects. Some people would think that making such videos take a lot of time, money, and effort. However, Make Web Video proves that it’s not the case. It provides cost-efficient video-making methods with high quality without having to exert too much effort and a professional video in just 30 minutes! One does not need to wait for anyone else. He or she can perform magic alone! 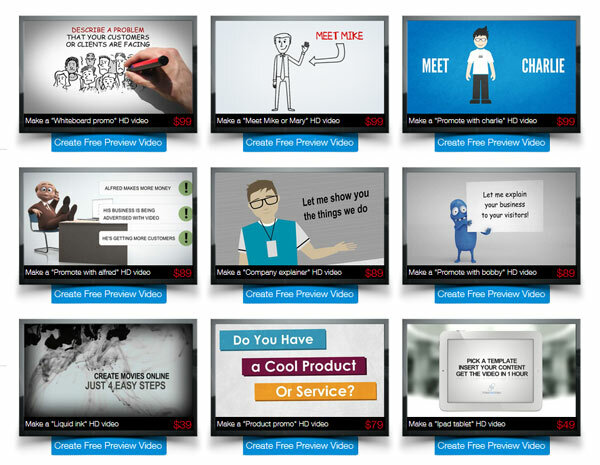 Take no risk as anyone can give this online video maker a try for free! Get familiarized with all its features before downloading this software for a very affordable price! Videos can be made for as low as $29! This definitely costs a lot less compared to hiring professionals to create a video which can amount to hundreds of dollars! Interesting videos that explain how this software works and its possible results are available in the website. These give people a clear vision of what to expect and what they can do with this software. The free preview video is just a taste of what lies ahead. With this software, the possibilities have no limit. Get a professional, high-definition video in MP4 format. Videos are made by no less than the finest video animators! The video will be tailor-made to fit the person’s needs – may it be for a personal video, a video for advocacy, promotional video, or a corporate video. Each video will feature top of the line sound effects and advanced graphics. For the preview video, one simply needs to pick a template and perform some modifications to have their customized professional video for free! Purchased videos include royalty-free music, video player, and video hosting! These videos may be downloaded without a watermark and can easily be uploaded and shared on different social networking sites. This is perfect for keeping loved ones updated, informing customers of promos and progress on a specific project, and a lot more! People can choose from the vast variety of advanced templates including Liquid Ink, Whiteboard Promo, Promote with Charlie, Blockbuster Movie Titles, Meet Mike, Meet Mary, Company Explainer, Hands, Abandoned, Unraveling Cube, Promote with Alfred. Also there are more templates like Product Promo, Diversify, Neon Screens, Promote with Bobby, Promote with Howard, Cheerful Self Promo, People Holding Signs, Ebook Promo Marketing, and a lot more! Anyone can surely find the perfect template for his or her desired effect. Anyone can create a professional video with Make Web Video. One does not need any technical skills. Simply choose a video template, add text, photos, music, and video footages and be amazed with the results! A lot of helpful information and updates are available in the website’s blog. Plus, if one is not satisfied with the video, this software is backed up by a money-back guarantee! This ensures that one will get nothing less than the quality that he or she desires.